The fourth site from Out of The Woods Restaurant Group, which also owns The Oak W2 in Notting Hill, The Bird in Hand in Brook Green and The Oak W12 on Goldhawk Road. Best known for their excellent wood-fire pizzas, the menu at The Oak SW11 in Battersea includes eight pizzette (miniature pizzas) - oven cooked pizzas are just the right balance of quality toppings and bubbling crust. The rest of the menu offers Mediterranean dishes designed for sharing. These include seaweed-coated tuna, pappardelle with beef shin ragu and rolled lamb breast. Design is overseen by founder Jasper Gorst, who has put in dark and light oak herringbone table tops, emerald green banquette seating and a statement marble table for up to 14 as the central piece. 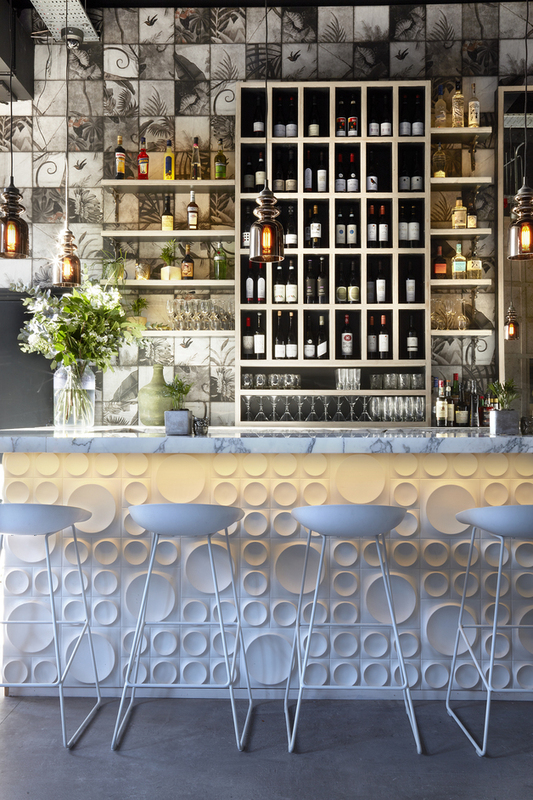 White stools at the long white marble bar, decorative tiles and bronzed pendant lighting add to the stylish look. Sleek white oak flooring leads to the mezzanine level overlooking the restaurant, which opens onto Ransome's Dock in the summer, making the most of the restaurant's location on the south bank of the Thames, adjacent to Battersea Park. The Oak SW11 gyms, sporting activities, health & beauty and fitness. The best pubs near London The Oak SW11. The Oak SW11 clubs, bars, cabaret nights, casinos and interesting nightlife. Where to have your meeting, conference, exhibition, private dining or training course near The Oak SW11. From cheap budget places to stay to luxury 5 star hotels see our discounts for The Oak SW11 hotels, including Pestana Chelsea Bridge Hotel & Spa from 83% off.